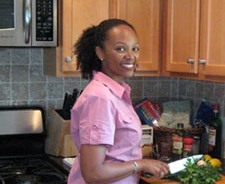 Last spring and summer (2009) I had the pleasure of working for FRESHFARM Markets at their Dupont Circle location in Washington, DC. As a non-profit organization that organizes and manages 11 farmers’ markets in the D.C. area to support farmers and promote locally-grown produce, it’s a wonderful organization worthy of support and much continued success. In addition to making the freshest, local produce available to communities, they also aim to make this healthy food more accessible to women, children, seniors and low-income families through accepting WIC, SNAP/FoodStamps and offering double-dollars for such programs. 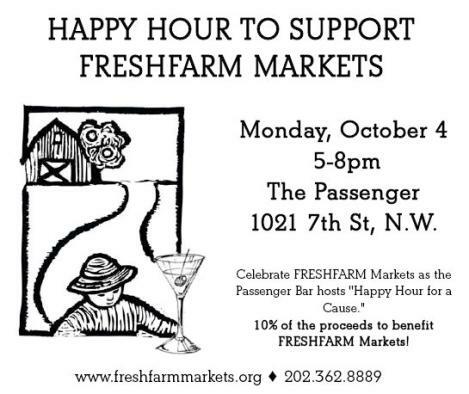 Come join the FRESHFARM Markets community on Monday, October 4th from 5pm – 8pm for a “happy hour for a cause” at Passenger Bar.